Hi everyone! I'm thrilled to be joining the Elle's Studio creative team for 2018. There's so many talented ladies on the team and I'm proud to be a part of it. 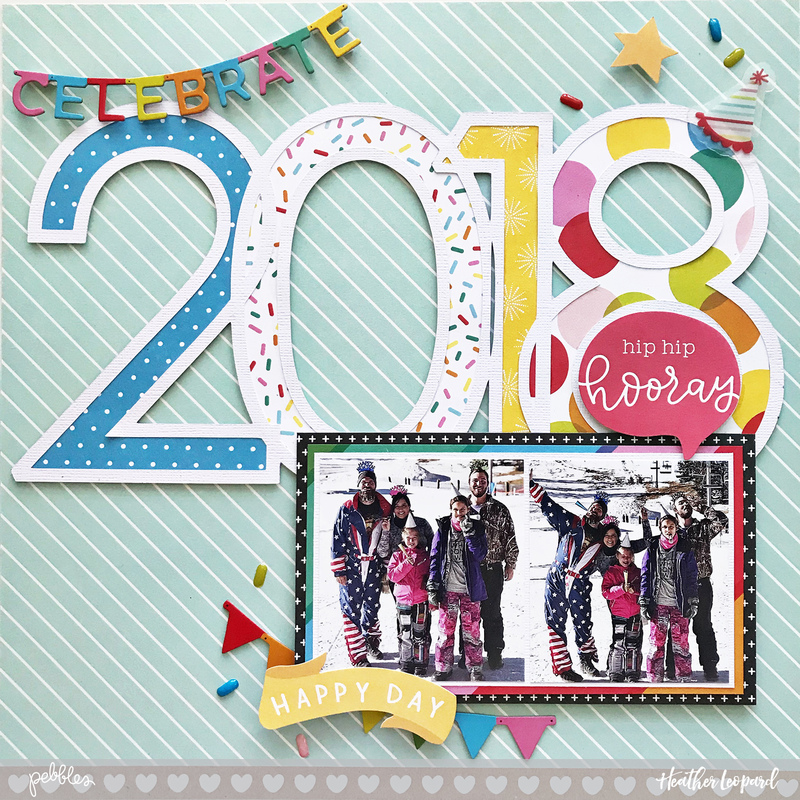 To get started, I'm bursting to show you the new January 2018 kit and add-ons* that are available to buy now and a project I've created using this kit. *All product links contained in this post are affiliate links. You don't pay any extra, but I get a small percentage of your sale. Thank you! On launch day, which is the 10th of every month, you can grab this kit for $9.99. After that it goes up to $11.99 until they are sold out. Whether you buy it on launch day or after, it's a phenomenal deal. OR, you can start a monthly subscription at anytime to lock you in to the $9,99 price every month. If you are in the USA, you get free shipping on any add-ons you add to your box. International get reduced shipping - yay! 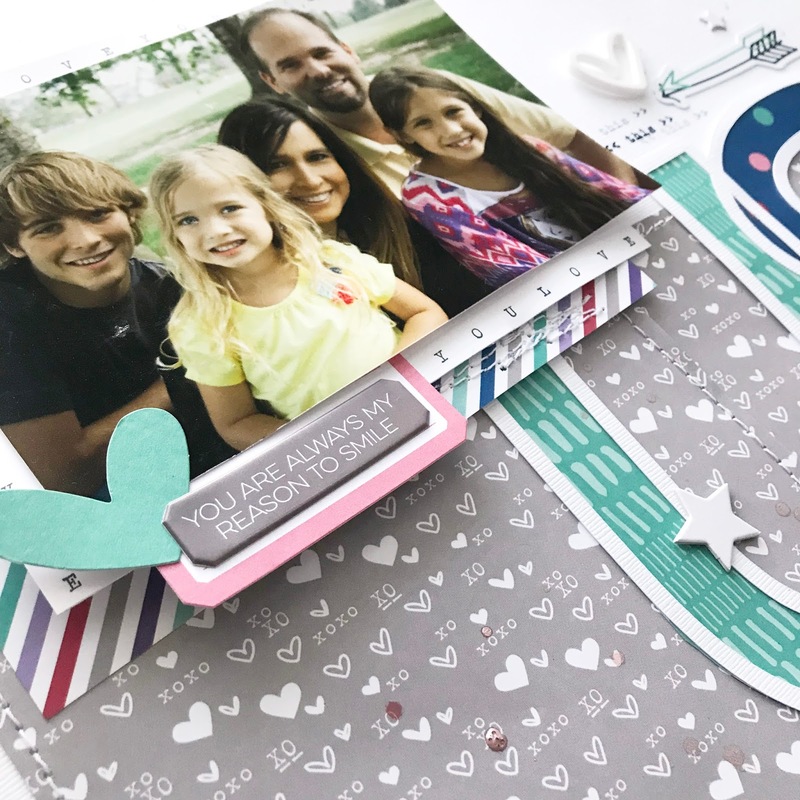 Elle also offers awesome add-ons, a stamp set and a digital cut file that coordinate perfectly with the main kit. Here are 2 project I made with this kit. Stay tuned in the next couple of days for details on how I created these projects. Thanks for stopping by today. Make sure to stop by Elle's Studio blog to see out how the other 19 designers used this kit for projects from Project Life to mini albums to scrapbooking and cards. I was in awe! Happy 2018 everyone! 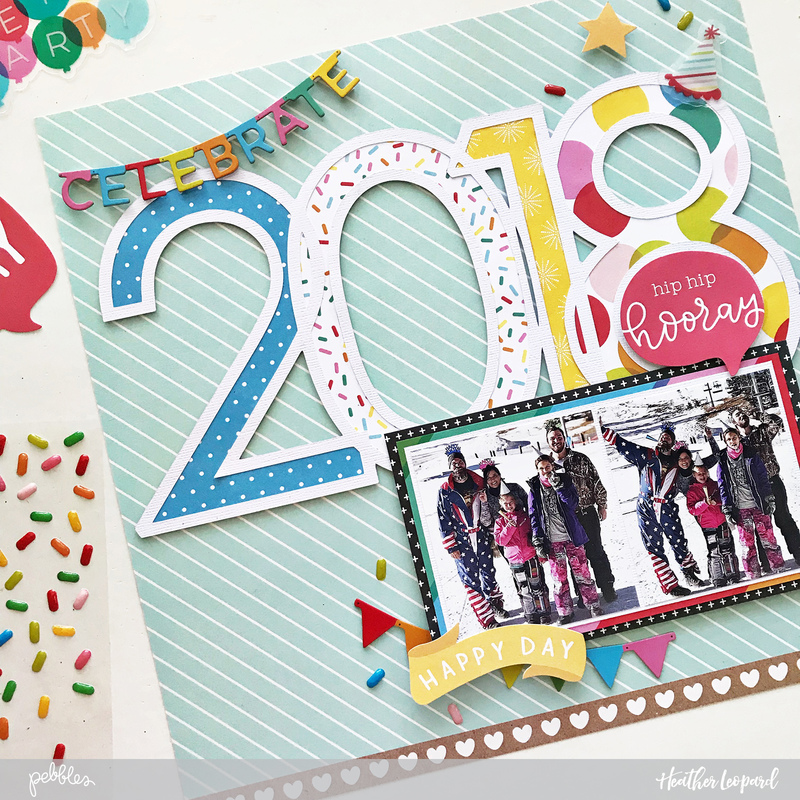 I'm here with a fun, festive 2018 scrapbooking layout and 2018 cut file graphic. Whether you went out or stayed home, this is perfect for documenting how you rang in the new year. 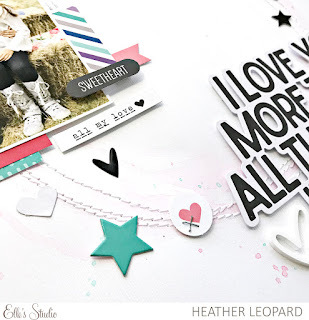 To create this layout, download the free cut file I created HERE. 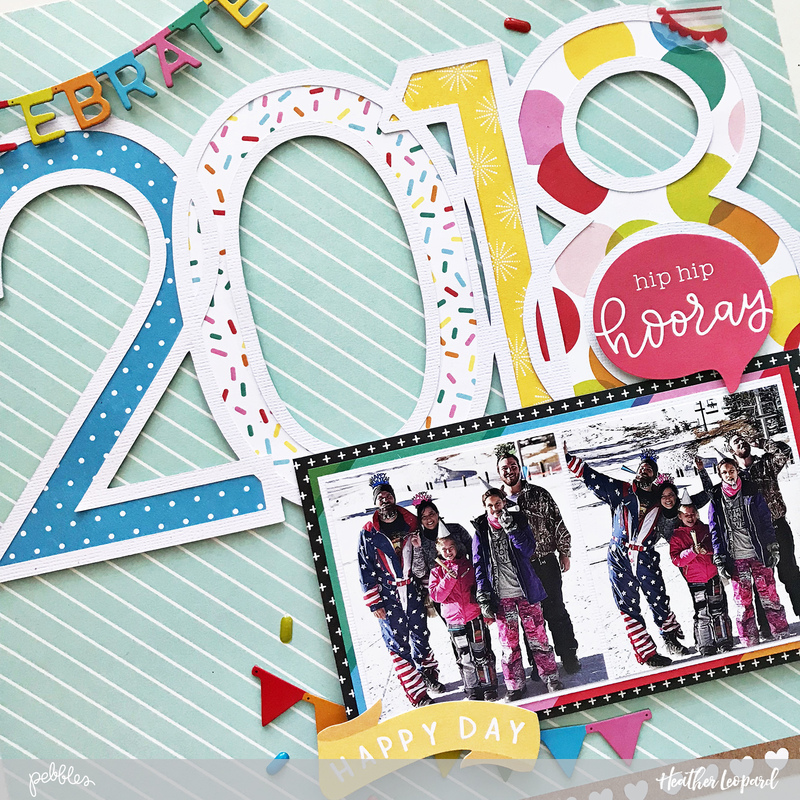 You'll also need 4 patterned papers for the 2018 plus additional papers for the background and layers around the photo, foam dots and embellishments. I created the file so that the numbers layer over each other. I chose to apply the layers starting with the 8 and working back to the 2 so that the 8 layers over the 1 over the 0 over the 2. 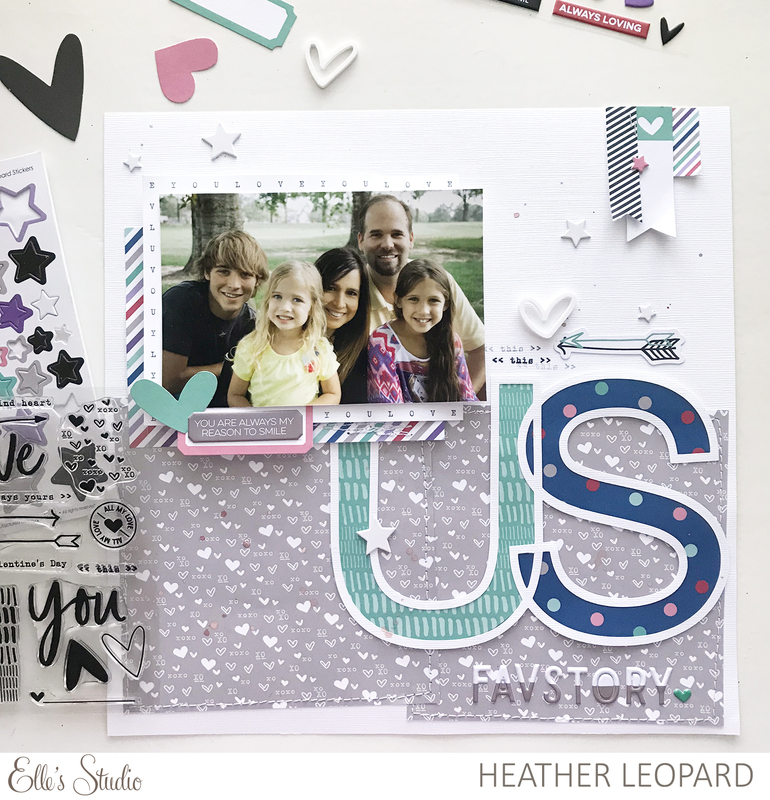 Look closely at the patterns where they overlap and then you do whatever works best for your layout. 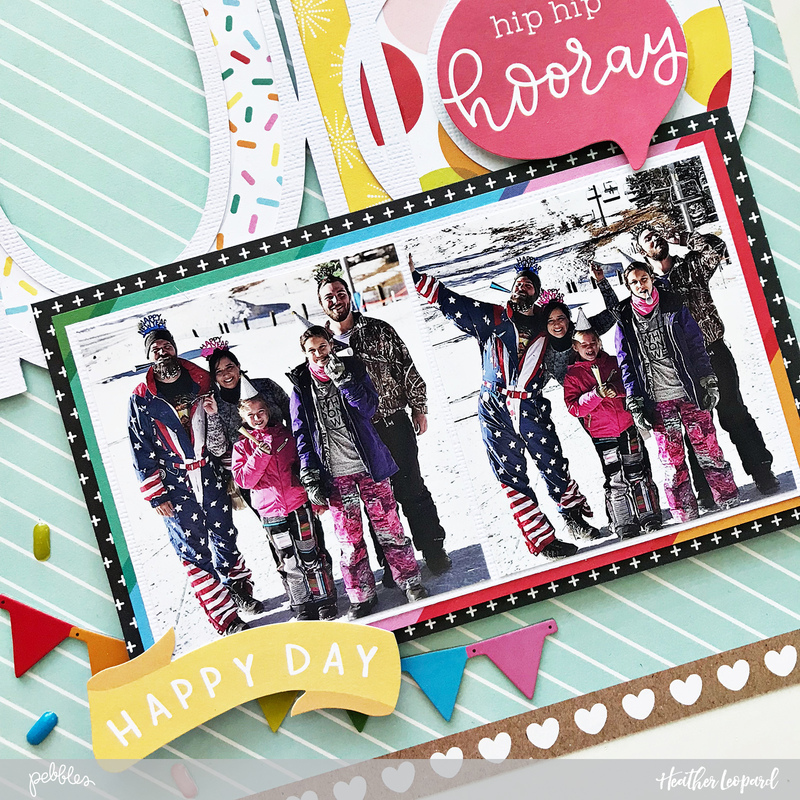 I printed my photos to 3" x 3" size and then added layers of patterned paper and white cardstock. Next, I added more chipboard, die cuts and enamel confetti around the photos. I even added "hip hip hooray" over part of the 8 as well as over the photo. I added a little party hat and more enamels to the top right of the layout to continue the fun, festive vibe. I added a chipboard word, "celebrate", to the top left over the 2. 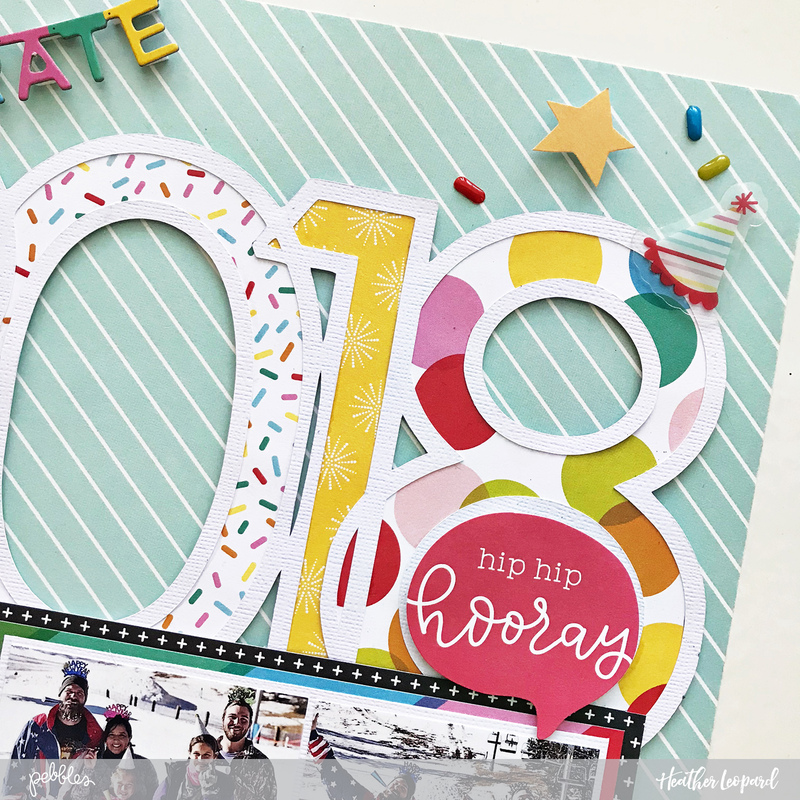 Now when you look at the overall layout, you can see a triangle of embellishments from the celebrate to the party hat to the happy day at the bottom. So there you have it, the opening page to my 2018 album! 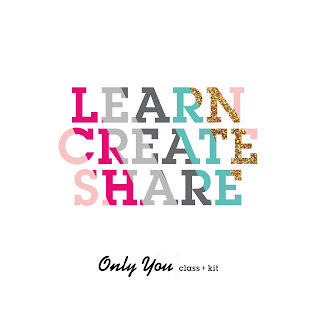 Create your own by downloading the free cut file HERE.